Alexander Lukashenko and Vladimir Putin meet in Sochi on 15 February 2019. The Kremlin is trying to avoid mistakes made in Ukraine to get hold of Belarus. Russia’s chief ideologist, Vladislav Surkov, has been trying to outline the country’s “new” ideological direction, recently claiming that “the state of Russia will continue to exist and will be a new type of country the likes of which we have never seen before”.7 There is indeed some novelty to this, but it lies in the fact that Russia is a hybrid country that produces and disseminates hybrid threats.8 Historically, this has indeed not happened before. Surkov also stresses that there are four main state models in Russia’s history, which he thinks can be named after their creators: the state of Ivan III (the 15th–17th century Grand Duchy of Moscow), the state of Peter the Great, i.e. the Russian Empire (18th–19th century), the state of Lenin, i.e. the Soviet Union (20th century) and the state of Putin (21st century).9 Surkov writes: “Putin’s huge political machine is only gaining momentum and configuring itself for a long, difficult and interesting task” and compares Putin’s Russia to Atatürk’s Turkey and de Gaulle’s France.10 It is clear that Surkov is trying to justify aggressive imperialist Putinism, emphasising that, for Russia, this is a long-term sustained opportunity and a major new development—in a way, a “new state”. Surkov believes that Putin’s state will last a long time.11 Similar appeals to ancient heads of state and their founders can also be found in earlier periods—e.g. from Nazi Germany, where Hitler was likened to Frederick the Great or some leader of the Holy Roman Empire and people talked about a thousand-year Reich. Moscow’s manipulations in Ukraine following the Orange Revolution, the constant pressure on Kyiv and Ukrainians, the incompetent rule of the pro-Kremlin Ukrainian president Viktor Yanukovych and several other factors gave rise to the Maidan events at the end of 2013, as a result of which Moscow lost control over Ukraine.12 Putin’s regime subsequently annexed the Crimea from Ukraine in the spring of 201413 and tried to create the so-called Novorossiya—a body of terrorist states directly subject to the Kremlin—in eastern Ukraine, but this plan was largely unsuccessful.14 The Kremlin managed to establish only two smaller state-like terrorist formations: the so-called “people’s republics” of Luhansk and Donetsk. With Ukraine having slipped from the Kremlin’s geopolitical grasp during the events of 2013–14, the Kaliningrad Oblast and Belarus—onto which Moscow has latched like a leech—remain the Kremlin’s only access points to Polish territory and central Europe. What Does Russia Fear and Expect Over Belarus? 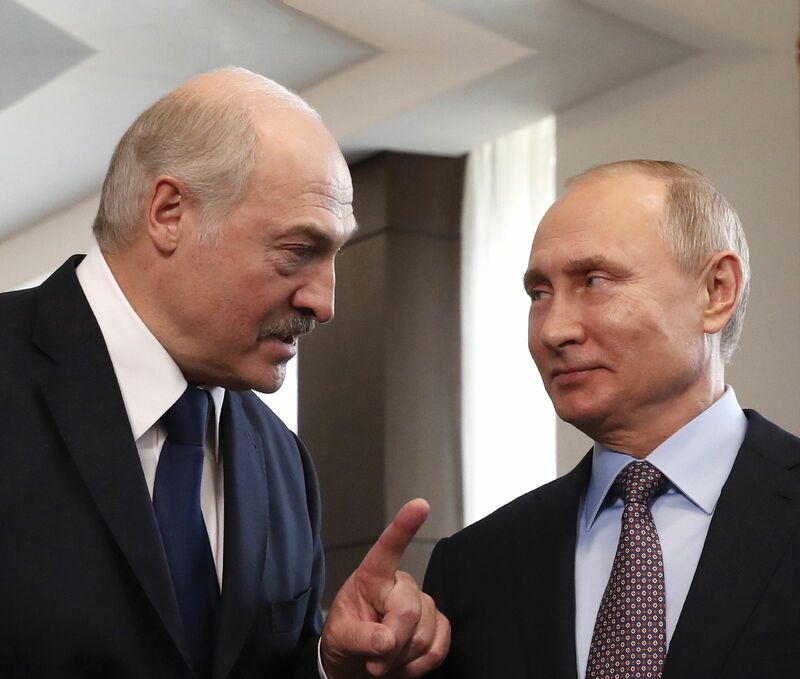 Moscow fears that if something happened to Lukashenko (who is 64), or if he is forced to stand down, a “colour revolution” might take place in Belarus18 and the country could follow Ukraine’s lead by turning towards Europe. In that case, the Kremlin would not only suffer in economic terms (Russia imports goods from Europe and exports its goods to Europe via Belarus as if they originated from that country). The political aspect is perhaps even more significant: this would mean a reduction in Moscow’s influence in Europe and in the Baltic region. It would also reduce Russia’s chances of pressuring Ukraine, and Minsk could no longer be used as a shock absorber—for instance, for conducting negotiations like those of the Minsk summit, if such a need should recur. In the military-political and strategic sense, Russia would lose Belarus as a military partner and Zapad exercises could no longer be held on Belarusian territory, causing military cooperation to decline or end altogether. After all, Belarus could end up in NATO’s sphere of interest, or at least this has not been ruled out, as this is what happened to Ukraine. In addition, this would mean that Russia would lose the Suwałki Corridor, which it can currently use against Poland and the Baltic states when necessary, threatening to close the gap. Putin’s regime also needs Belarus to ensure its sustainability for at least five to ten years; it needs to keep Belarus under its influence and closely integrated with Russia, so as to present it to the people later as a great geopolitical success and achievement, because the era of hysterical cries of “Крым наш” (the Crimea is ours—Tr.) that used to thrill the Russian population is long gone. The Kremlin’s efforts in Syria were not as successful as hoped, either. The popularity of Putin’s regime is in decline, along with Russians’ income and the economy. The general mood in the country is increasingly depressing. Some of these objectives have already been fulfilled—for instance, the creation of a shared economic space—but there are also unachieved goals and points of difference between Minsk and Moscow, such as the former not having recognised the Crimea as part of Russia.21 This shows that Belarus is still resisting the pressure applied by the Kremlin. But how strong will it be in the event of a possible hybrid conflict between Russia and Belarus? One can only guess. For decades, Russia has put pressure on Belarus and its leader, Lukashenko. To this end, the Kremlin has used both political and economic measures as well as information operations—for example, the “milk wars” initiated by Russia at the beginning of 2009, which created a lot of tension between Minsk and Moscow.26 As already mentioned, the latest Zapad exercise in particular prompted fears about Russia refusing to withdraw its troops and annexing Belarus (this was also feared in Ukraine, and elsewhere). Lukashenko probably had the same worry. The end of 2018 saw increased pressure applied by Moscow to make Belarus integrate further with Russia. The economic pressure on Belarus is also considerable; among other things, Russia is threatening to raise the price of oil sold to Belarus to the world market price rather than 20% cheaper, as now.27 This tactical step by Russia over the oil taxes levied on Belarus causes great financial damage on the latter.28 One can only guess how this dispute will end.29 At the same time, the Belarusian president claimed at a meeting on 10 January 2019 that “it is not worth aggravating the problems related to Belarus’ budget losses that may be caused by Russia’s tax manoeuvre; however, there is a need to seek other resources that could compensate for them”. Lukashenko also stressed that this must not be viewed as a disaster. “If the Russian leadership chooses such a path—the loss of their only ally to the west—that is their choice. We cannot force them.”130 Thus, Lukashenko has taken into account the possibility of the further deterioration of the relationship with Russia, with Belarus ceasing to be its partner and ally. The Kremlin may not wish to make Belarus a Russian oblast (even though there are those in Russia who do want that), but there is no doubt that Moscow wants to gain full control over the country—to control its armed forces, economy, finances (so there would be a shared currency—the Russian rouble), and so on. Essentially, this would mean the end of Lukashenko’s rule and the loss of Belarus’ sovereignty. It is no use blackmailing us, trying to make us toe the line or seizing us by the throat. We must pursue integration for the sake of the unity of our peoples. I cannot resort to plotting behind the scenes—the process should be open and transparent. Lukashenko also stressed that Belarus would not become part of Russia and Moscow’s “deeper integration” would mean Belarus acceding to Russia. “I understand these hints: take our oil, but let’s destroy the country and join Russia,” said Lukashenko, stressing that the idea of “deeper integration” originated in Moscow and would essentially mean the end of Belarus. “Some people are already saying we are ready for you to become a part of the Russian Federation in the form of six oblasts,”33 said he added. It is not known whether Lukashenko actually believes this and is sincere about it. Perhaps the long-standing Belarusian leader wants to save face in front of his voters and supporters, but this could also be his real position.34 Lukashenko understands that if this “deeper integration” with Russia comes into being, it would essentially mean the end of his rule35 and Belarusian sovereignty, which is probably why he wants to withstand the Kremlin’s pressure and refuses, for example, to become vice president of the Union State. The Belarusian dictator does not want to play second fiddle in his own country. Putin’s imperialist regime is doing everything in its power to swallow Belarus and further integrate it with Russia, attempting to bring about the final collapse of Belarusian sovereignty. However, Lukashenko opposes such developments and, despite Moscow’s increasing political blackmail, economic pressure and information campaigns, has shown perseverance in standing up to Putin’s aggressive and pushy intimidation, which has, in a sense, acquired the characteristics of hybrid warfare. It is difficult to predict how this resistance is going to end. Moscow could easily overstretch itself in its efforts to swallow its vassal state Belarus and may lose it from its sphere of influence, just like Ukraine in 2013–14. However, things could go differently, because the Kremlin is now acting more carefully than it did in Ukraine and is doing everything it can not to let Minsk slip out of its grip. 1 “Putin: NLi kokkuvarisemine oli 20. sajandi suurim katastroof”. Postimees, 25 April 2005, www.postimees.ee/1471945/putin-nli-kokkuvarisemine… (last accessed 4 February 2019). 2 J. Carik, A. Sivinckij, “Беларусь в контексте противостояния Россия–НАТО”. Minsk: Center for Strategic and Foreign Policy Studies, 2016. 3 Z. Brzezinski, The Grand Chessboard: American Primacy and Its Geostrategic Imperatives. New York: Basic Books, 1997, p. 46. 4 Б. Флоря, “О некоторых особенностях развития этнического самосознания восточных славян в эпоху Средневековья — Раннего Нового времени”. Россия-Украина: история взаимоотношений, Отв. ред. А. И. Миллер, В. Ф. Репринцев, М., 1997, pp. 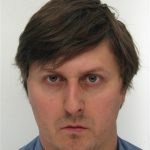 9–27, izbornyk.org.ua/vzaimo/vz02.htm (last accessed 4 February 2019). 5 “Путин: Я считаю, что русские и украинцы – это вообще один народ, разницы мы не делаем”. 112UA, 17 August 2015, 112.ua/politika/putin-ya-schitayu-chto-russkie-i-u… (last accessed 4 February 2019); “Путин назвал русских и украинцев единым народом”. Interfax, 17 August 2015, www.interfax.ru/russia/460776, (last accessed 1 February 2019). 6 See, for example, Charles Dyer, “Don’t stand so close to me! Belarus president fears Russia is trying to swallow up his nation as Putin urges greater political and economic union with three meetings in a month”. Mail Online, 29 January 2018, www.dailymail.co.uk/news/article-6538055/Fears-Rus… (last accessed 1 February 2019). 7 B. Сурков, “Долгое государство Путина”. Незвисимая газета, 11 February 2019, www.ng.ru/ideas/2019-02-11/5_7503_surkov.html (last accessed 12 February 2019). 8 W. Nemeth, “Russia’s State-centric Hybrid Warfare”. 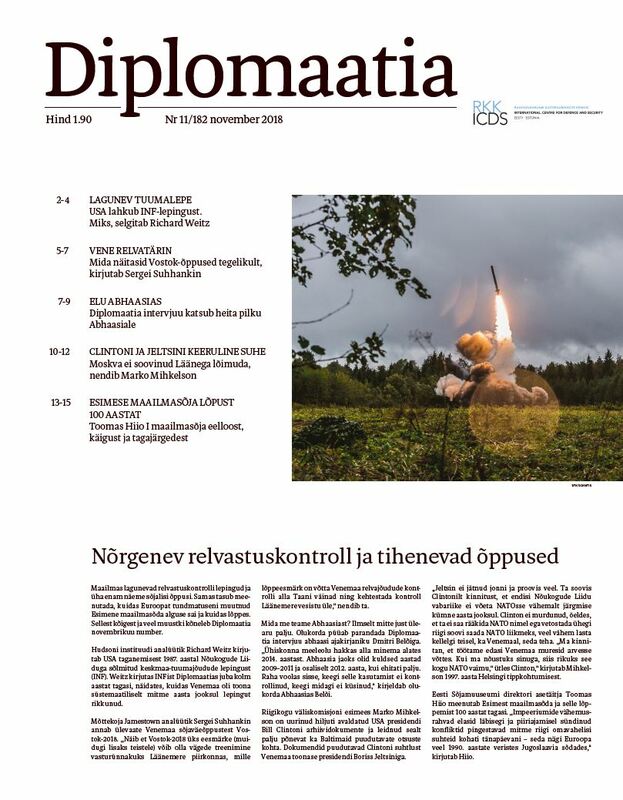 Diplomaatia 140, 17 April 2015, icds.ee/russias-state-centric-hybrid-warfare/ (last accessed 14 March 2019). 9 B. Сурков, “Долгое государство Путина”. Незвисимая газета, 11 February 2019, www.ng.ru/ideas/2019-02-11/5_7503_surkov.html (last accessed 12 February 2019). 12 C. Кошкина, Майдан. Нерасказанная история. Киев: Брайт Стар Паблишинг, 2015. 13 H. Mölder, V. Sazonov, R. Värk, “Krimmi liitmise ajaloolised, poliitilised ja õiguslikud tagamaad. I osa”. Akadeemia 12/2014, pp. 2148–61; and “… II osa”. Akadeemia 1/2015, pp. 1–28. 14 Д. Тымчук, Ю. Карин, K. Машовец, B. Гусаров, Вторжение в Украину: Хроника российской агрессии. Киев: Брайт Стар Паблишинг, 2016. 15 To read more about Russian hybrid warfare in Ukraine, see U. Franke, “War by non-military means: Understanding Russian information warfare”. Stockholm: Totalförsvarets forskningsinstitut, 2015; and J. Bērziņš, “Russian New Generation Warfare is not Hybrid Warfare”, in Artis Pabriks & Andis Kudors (eds.) The War in Ukraine: Lessons for Europe. Riga: Centre for East European Policy Studies, University of Latvia Press, 2015. 16 K. Müür, H. Mölder, V. Sazonov and P. Pruulmann-Vengerfeldt, “Russian Information Operations against the Ukrainian State and Defence Forces: April–December 2014”. Journal of Baltic Security, 2(1), pp. 28–71; H. Mölder and V. Sazonov, “Information Warfare as the Hobbesian concept of Modern Times: Principles, Techniques and Tools of Russian Information Operations in Donbass”. Journal of Slavic Military Studies, 31(3), pp. 308−28. 17 To read more about the Zapad exercise, see A. Ventsel, V. Sazonov, A. Saumets (eds. ), “Zapad 2017 infosõja kontekstis”. Sõjateadlane 8 (2018), Estonian National Defence College. 18 A. Cordesman, “Russia and the ‘Color Revolution’”. Center for Strategic and International Studies, 28 May 2014, www.csis.org/analysis/russia-and-%E2%80%9Ccolor-re… (last accessed 28 January 2019). 19 “ДОГОВОР О СОЗДАНИИ СОЮЗНОГО ГОСУДАРСТВА”, www.soyuz.by/about/docs/dogovor5/ (last accessed 4 February 2019). 21 E. Толкачева, “Единая Конституция, валюта, суд». Что из Договора о Союзном государстве так и осталось на бумаге”. 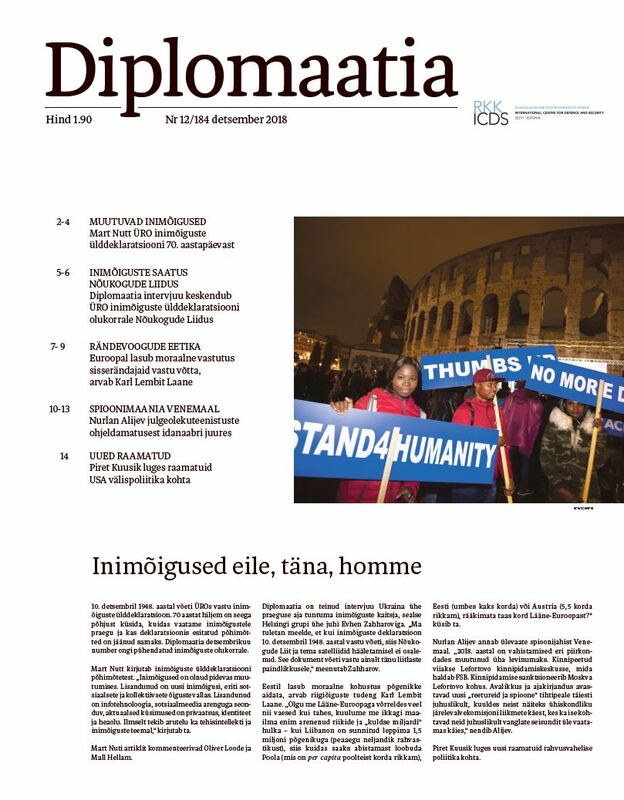 TUT.BY, 15 December 2018, news.tut.by/economics/619244.html?crnd=6850 (last accessed 1 February 2019). 22 R. McDermott, “Zapad 2009 Rehearses Countering a NATO Attack on Belarus”. Eurasia Daily Monitor 6(179) (September 2009), jamestown.org/program/zapad-2009-rehearses-counter… (last accessed 1 February 2019). 23 S. Sukhankin, “Zapad-2017:What Did These Military Exercises Reveal?”. 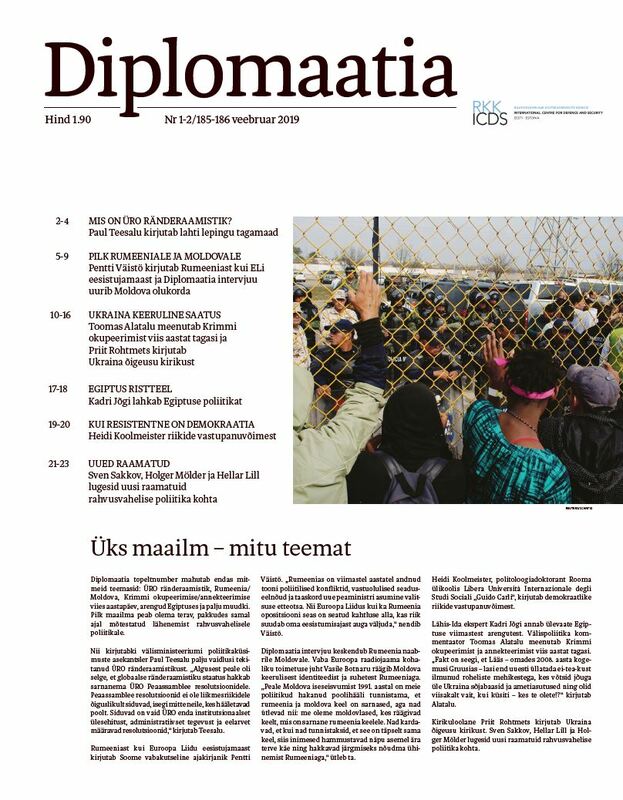 Diplomaatia 170, 24 October 2017, icds.ee/zapad-2017-what-did-these-military-exercis… (last accessed 14 March 2019); A. Wilk, “The Zapad-2017 Exercises: The Information War (for Now)”. Centre for Eastern Studies (OSW), 4 September 2017. www.osw.waw.pl/en/publikacje/osw-commentary/ 2017-09-04/zapad-2017-exercises-information-war-now (last accessed 1 February 2019). 24 V. Sazonov, A. Ventsel, “Sõna saateks. Sõjaväeõppus Zapad 2017 Venemaa infosõja kontekstis”. Sõjateadlane 8, pp. 7–8. 25 “Распоряжение президента Российской Федерации о военной доктрине Союзного государства”, 19 December 2018, publication.pravo.gov.ru/Document/View/00012018121… (last accessed 1 February 2019). 26 Wikipedia. “2009 Russian ban on Belarusian dairy products”. en.wikipedia.org/wiki/2009_Russian_ban_on_Belarusi… (last accessed 14 March 2019). 27 A. Шрайбман, “Шрайбман назвал самый вероятный сценарий конфликта Минска и Москвы”. Gazeta.by, 21 February 2019, gazetaby.com/post/shrajbman-nazval-samyj-veroyatny… (last accessed 4 February 2019); A. Класковский, “Класковский: Интеграция – конец для Лукашенко. Он будет упираться рогом…”. 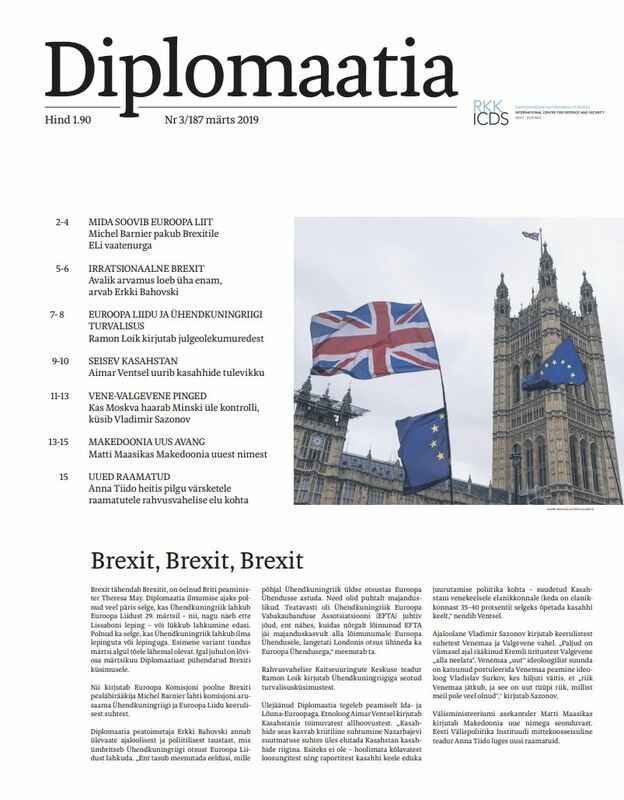 Белорусский партизан, 11 January 2019, belaruspartisan.by/politic/451245/ (last accessed 4 February 2019). 28 A. Шрайбман, “Шрайбман назвал самый вероятный сценарий конфликта Минска и Москвы”. Gazeta.by, 21 January 2019, gazetaby.com/post/shrajbman-nazval-samyj-veroyatny… (last accessed 4 February 2019). 29 Д. Заяц, “Чем закончится нефтяной спор с Россией”. Naviny.by, 20 August 2018, naviny.by/article/20180820/1534739667-chem-zakonch… (last accessed 1 February 2019); T. Маненок, “Россия свернет «неограниченную» поддержку Беларуси”. Белрынок, 12 July 2018, www.belrynok.by/2018/07/12/rossiya-svernet-neogran… (last accessed 4 February 2019). 30 “Если Россия не заплатит компенсацию — это путь к потере единственного союзника в западном направлении”. Лукашенко. Белрынок, 10 January 2019, www.belrynok.by/2019/01/10/esli-rossiya-ne-zaplati… (last accessed 29 January 2019). 31 A. Applebaum, “Why the world should be paying attention to Putin’s plans for Belarus”. Washington Post, 4 January 2019, www.anneapplebaum.com/2019/01/04/why-the-world-sho… (last accessed 14 March 2019). 34 “Президент — о словах Медведева об «углубленной интеграции»: Шантажировать нас бесполезно”. TUT.BY, 14 December 2018, news.tut.by/economics/619170.html (last accessed 6 February 2019). 35 A. Класковский, “Класковский: Интеграция – конец для Лукашенко. Он будет упираться рогом…” Белорусский партизан, 11 January 2019 belaruspartisan.by/politic/451245/ (last accessed 4 February 2019).